…We Just Don’t Act Like It. 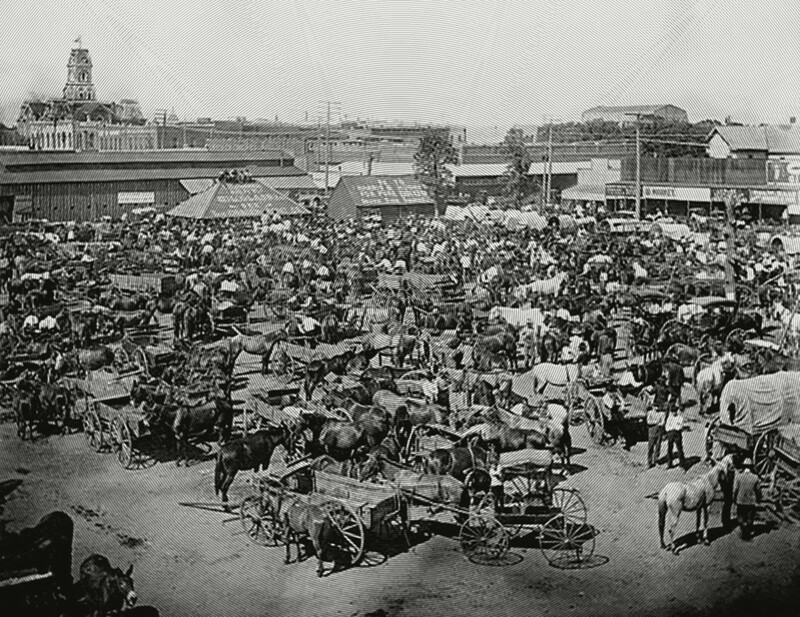 Fifty miles southwest of Dallas, in the small agricultural community of Cleburne, a group of Texas farmers assembled in August of 1886 to demand the Next System. The current “crop lien” system was intolerable: a farmer could only get a harvest-time cotton gin or any other necessary equipment from one person: the local merchant. A white farmer would call him “the furnishing man,” a black farmer simply “the Man.” Not having lots of cash handy, the farmer would take out a mortgage (“lien”) on his forthcoming crop. Since the merchant had a monopoly on credit in the area, he could make loans at whatever interest rate suited him—perhaps 25 percent. Many was the farmer who left a merchant’s counter praying to high heaven his crop would command a good enough price at market to service his debt to the Man. Year in and year out, heaven declined to heed farmers’ prayers: the price the harvest commanded dropped and dropped and dropped. This deflation (general drop in prices) was a result of the gold standard to which the value of money was pegged: while the size of the population rapidly expanded, the size of the money supply remained steady. This grew the farmer’s debt in more than one way: not only did the lousy income force him to borrow more at higher interest the next year, but deflation also magnified the real cost of the previous year’s loan, which now had to be paid back in dollars that were harder to come by. Every dollar the merchant got back was worth more than when he’d lent it. Year after exhausting year, farmers would go deeper and deeper into debt, until, at last, the banks foreclosed on their land. If they could afford the rent, farmers became tenants. If not, they would join millions of others as farm hands. So it was that the Farmers Alliance, which was to become the mighty Populist Movement, gathered at Lee’s Academy in Cleburne and, however “grangy” they might have appeared to metropolitan reporters, compiled sixteen demands dealing with labor, the power of railroads, land, commodity dealings in agricultural futures, and the money system. The crucial significance of this last one wasn’t yet in its starkest light under the Texas sun of August, 1886. That came two years later, after the Alliance first tried to counteract the power of the merchants and railroads by establishing a great farming cooperative called the Texas Exchange. When the Exchange failed to collect enough capital to advance credit to its members, the farmers became convinced that they couldn’t change the system from the ground up alone: the need for flexible and, more immediately, inflationary monetary policy became clear as noonday. [T]he farmers became convinced that they couldn’t change the system from the ground up alone: the need for flexible and, more immediately, inflationary monetary policy became clear as noonday. Today, in place of the gold standard, we have a federally administered national banking system (the Federal Reserve), and Congress spends flexible currency into existence via the U.S. Treasury. It would seem that in the long run, monetarily at least, the “grangy” farmers won. But the assumptions underlying the popular imagination about how money comes into being, about what money even is, have yet to move on from 1886, with devastating political consequences. 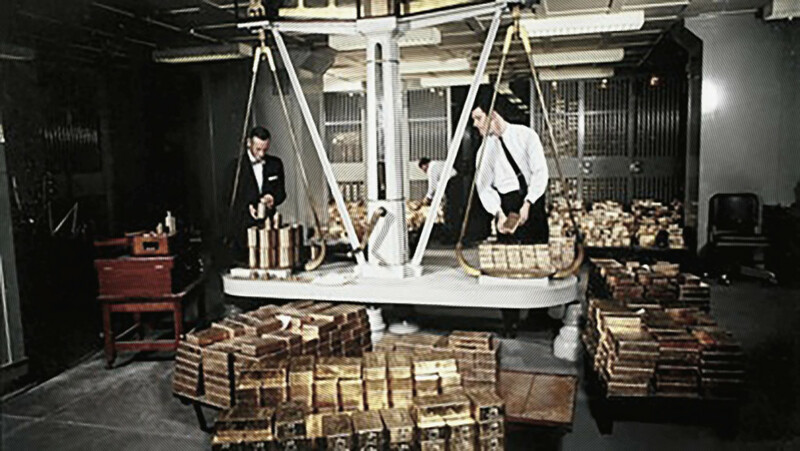 More than 40 years after President Nixon severed the dollar’s last remaining tie to gold, we live in the Next System, but still act as though encumbered by the old one. This is not how our monetary system works. It is common, for example, to imagine money as bills and coins, to speak of it as a thing that passes from hand to hand, transaction by transaction, circulating through the economy. However, if the hedge-fund proverb “Money is whatever you can use to repay your debts,” is right, then tangible currency makes up a tiny portion of the overall money supply. The great majority of money (the great majority of the means of debt repayment) appears not in note- or coin-form, but simply as electronic entries in spreadsheets. These entries came into existence not through minting or printing, but by a keystroke. The primary operation performed by the money system therefore is not circulating money, but crediting and debiting it on balance sheets. The great majority of money (the great majority of the means of debt repayment) appears not in note- or coin-form, but simply as electronic entries in spreadsheets. Though accounting is best known as a reliable instigator of eye-glazing, it lies at the crux of the financial and monetary system: in the words of the late visionary economist Hyman Minsky, “A capitalist economy can be described by a set of interrelated balance sheets and income statements.” Balance sheets are well suited to capture the essence of money because, like the coins on which that system once was based, “double entry” balance sheets are two-sided. They record assets and liabilities, fortunes and debts, surpluses and deficits, credits and debits. Money is both, and its dual nature helps to explain how it is created, why it has value, how there are various sorts of it, and why their degree of “moneyness” is similarly various. Creating money means splitting nothing into two things. Like a physicist at CERN creating a particle of matter and a particle of antimatter out of nothing (and then smashing them into one another so that they mutually annihilate, leaving nothing once more), or like the 7th Century Indian mathematician Brahmagupta first discovering that zero could be split apart into 1 and -1, integers which could then recombine to form zero again, modern money creators make a loan ex nihilo as an asset and a corresponding liability of equal size. When the loan is repaid, the liability and asset are both extinguished, reunited into the state of nothingness that preceded their separation. It works like the simplest record of debt, an IOU: a note containing a promise to pay is an asset on the balance sheet the bearer and a liability on the balance sheet of the promise-maker. If I write you an IOU, I have created, out of nothing, an asset (yours) and a liability (mine) of equal size. When I pay you back, you’ll tear up the IOU—the asset and the liability annihilated. In writing the IOU, I have created money. According to Minsky’s most prominent disciples, those in the “neo-chartalist” school of thought (also known as Modern Monetary Theory, or MMT), government liabilities sit atop the “moneyness” pyramid, at least partly, because the state gets to declare what it will accept in tax payment. Each dollar, as a liability of the U.S. government, is a promise to pay the bearer one dollar worth of tax relief. Since every economic entity in the country is subject to taxation, everyone will accept such an IOU. One step down the “moneyness” hierarchy of IOUs are deposits created by bank loans. These also enjoy such a high position thanks to the government, which confers many special privileges on banks. For instance, the government guarantees that a dollar of bank deposits will be worth a dollar of currency for cash withdrawals and interbank transfers. Bank deposits also enjoy federal insurance, and banks have access to the Fed’s unlimited lending power should they face a liquidity shortage at the end of the banking day. The Fed even allows banks to accept deposit account-holders’ tax payments, and settle up with the Treasury through its reserve system. Lower still on the IOU hierarchy are the liabilities of non-bank financial firms like Money Market Mutual Funds, which comprise the “shadow banking” sector. Big-time institutional investors use these deposit-like liabilities for storage and large-scale transactions. Prior to the 2007-8 crisis, the unregulated shadow banking sector’s liabilities totaled around $11 trillion, more than twice the total amount of insured bank deposits. This money form, created neither by the government nor licensed banks, is vulnerable to a “bank run” and was, as you might have guessed, a source of a lot of the instability that led to the crash. Money is created out of nothing, by many different entities, “endogenously.” It appears as a financial asset on someone’s balance sheet and a liability on someone else’s. 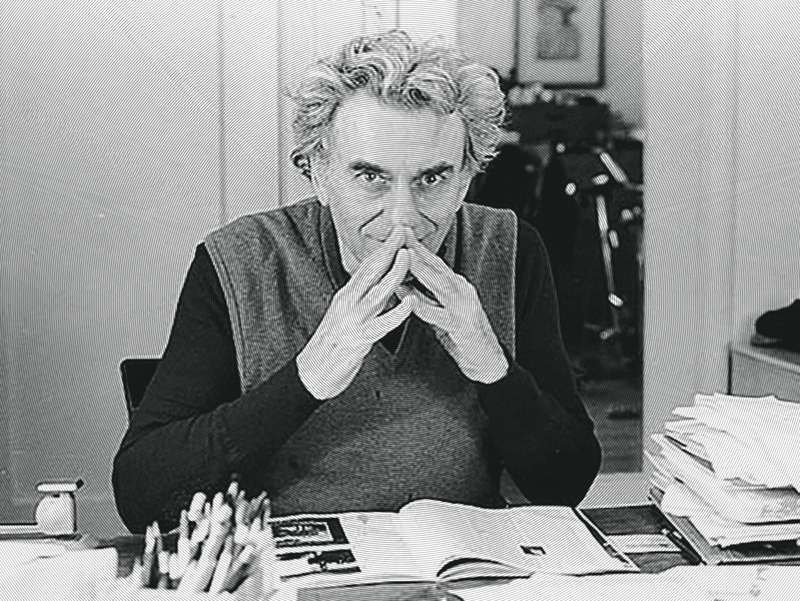 Minsky’s insights illuminate the widely mystifying money system. Money is created out of nothing, by many different entities, “endogenously.” It appears as a financial asset on someone’s balance sheet and a liability on someone else’s. The degree to which third parties will accept it as a form of debt repayment—its degree of “moneyness”—largely reflects the government’s commitment to guaranteeing and regulating it, above all by itself accepting it as tax payment. So why, with a financial and monetary system run ostensibly in the public interest, does Miss Wilbur’s prediction remain elusive, futuristic? Why does “the man who tills the soil” still want for “pleasure and poetry and love of life”? The nation’s debt is the people’s wealth. Broke? “We’re broke,” he repeated for good measure. “America is broke.” In what sense could the lachrymose legislator have meant this? To normal people, being broke means having run out of money, having drawn down one’s bank account until its balance is zero. As Minsky’s portrayal starkly implies, though, it is impossible for the government to “run out” of its endogenous money, which it creates on the spot, out of nothing. The government takes on a brand new liability (it owes a dollar’s worth of tax relief for each dollar in the economy) and bestows upon the bearer a brand new asset. If the money supply gets too low, the government can just make more. America can’t go broke. What it can do is run a deficit, as Rep. Boehner showed he well knew later in his speech, when, without apparent fear of self-contradiction, he proceeded to stoke anxiety about the size of the federal deficit. In a season filled with reason for anxiety, the deficit should have caused none. 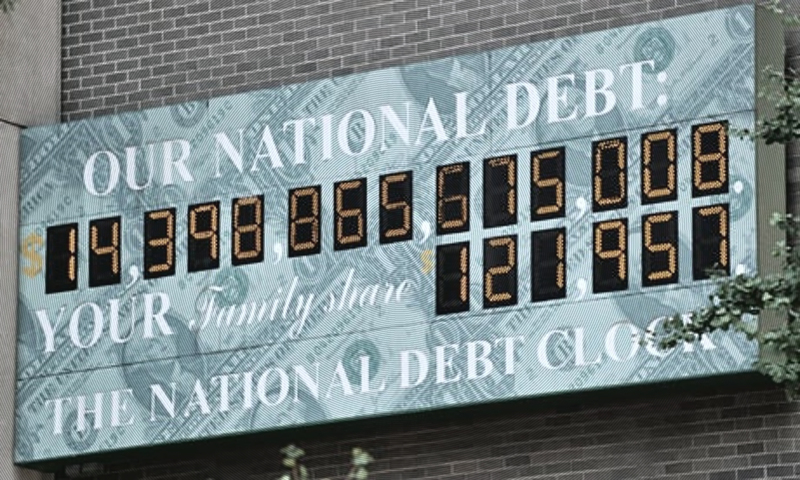 Since any entity’s deficit corresponds to an equal sized surplus in the rest of the financial system, it would be just as right to call the government’s deficit “the non-government sector’s surplus.” The millions who couldn’t find sufficient work, who were overcrowding food banks and homeless shelters, losing their houses, and facing unmanageable debt burdens, needed more surplus—they needed money. The non-government sector, commonly called “the economy,” was recessed; picture it as a vast ditch. When banks won’t make loans, won’t contribute to the money supply, there is only one entity up to the task of filling in a gaping economic ditch, of getting the economy back on even ground: the government. However big a deficit the government has to run in order to fill the ditch, it can always afford it; it just just has to mark up the balances of bank accounts. The single, solitary risk a government runs in marking up balances is that it will continue to fill the ditch even after the ditch is full, creating a mound—that is, that it will expand the money supply beyond its optimal size, begetting inflation. But as Boehner spoke there was no danger of creating an economic mound; the U.S. was in its deepest ditch in most of a century. (Moreover, a measure of inflation is not only tolerable but, as the Cleburne farmers knew, desirable: it provides debtors a gradual jubilee.) When the government’s deficit, i.e. the non-government’s surplus, is too large, the result is a mound of inflation. When it is too small, the result is a ditch of unemployment. The even ground, the sign that the money supply is meeting demand, that our economy is operating at capacity, is full employment. The government can always afford full employment. The government can always afford full employment. So why the lies? Why would Minority Leader Boehner rise to advance the absurd claim that the United States government was broke? Why agitate the great unease of a nation immersed in economic agony on a fiction? It is the political consequences of full employment that Boehner’s chief constituency, the capitalist class, cannot abide: in its great power-struggle with capital, labor can possess few more potent tools than full employment. Bosses depend on what Friedrich Engels called “the reserve army of labor,” the pool of unemployed and underemployed people, to force workers into a ruthless competition for productivity. A scarce job is a dear possession for a worker, and a source of continual worry and workplace dis-empowerment. By contrast, “tight” labor markets augment workers’ bargaining position in the perennial struggle for wages, rights, and the collapse of workplace hierarchy. Abundant employment opportunities make quitting a bad job not such a terrifying prospect. Full employment mops up the reserve army of labor, redistributing the terror upward. Thus, political agents of the oligarchy such as John Boehner pretend we live in the old system, under which money is so scarce that the government might go broke if it adopted policies that favored the working class. The oligarchs’ intellectual agents have also invented new rationales for retaining a reserve army of labor. Milton Friedman articulated a minimum unemployment rate lower than which hyperinflation would commence, the “non-accelerating inflation rate of unemployment” (NAIRU), whose existence is treated as obvious, despite the absence of a shred of evidence, by even the likes of Paul Krugman. Krugman also worries that too much government spending would “crowd out” “loanable funds,” as though banks loaned out their deposits, rather than creating new deposits by making new loans, as Minsky shows they do. Its political and academic bases covered, the “scarce money” phenomenon generates a characteristically reactionary situation: right wing ideologues (aided by perhaps unwitting liberal accomplices) not not only fantasize about a return to the old system, they are determined to pretend we still live in it. Conclusion: The Next Next System? Our monetary System has attained a particular and strange sort of Next-ness: though it has been the current system for decades, its real properties and contours are obscured by a politics intent on living in the previous one, so its true possibilities remain unexplored. A politics based on guaranteeing, as a matter of human rights, a state of full employment—a Next political-economy—would finally put the monetary System the Populist farmers wanted to the use for which it was intended: ensuring a dignified life to ordinary people. This could be accomplished, for instance, through a job guarantee, a universal basic income, and universal public provision of housing, education and healthcare, which our monetary system is plenty capable of facilitating. When we catch our politics up to the possibilities latent in our monetary arrangements, we can not only build worker power, but really begin to advance toward the Next System. Imagine shifting from a payments system intermediated by Wall Street to one where people have direct access to the Fed’s balance sheet. What if we combined postal banking—a system whose resuscitation has lately received a surge of popularity—with mobile payments platforms, exploding in use across the Global South, to boot out all the intermediaries that take a cut in the current system. “People’s Quantitative Easing”—could there there an app for that? Much more remains to be said about these programs and ideas, and much more must, as long as Miss Wilbur’s “pleasure and poetry and love of life,” remain elusive.